For the first time in my life last week I tried pumpkin ice cream at a local restaurant. At first I kind of cringed at the thought of pumpkin ice cream, but I decided I might as well try something new. Let me just say it was a-maz-ing! Instantly I fell in love. Ice cream is an important part of my life, year round. I don’t snub it in the fall and winter just because it’s cold out. 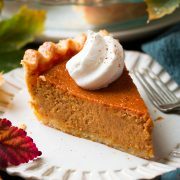 I love the different flavors throughout the year, raspberry or peach in the summer, peppermint in the winter and now this pumpkin in the fall. 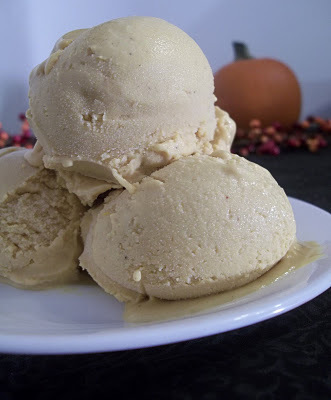 I created this recipe in hopes of mimicking my first pumpkin ice cream experience. Proudly to say, it is equally as divine if not better. 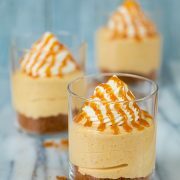 Its flavors immediately bring you to memories of your favorite pumpkin pie and even that creamy glass of egg nog you enjoy during the holidays. 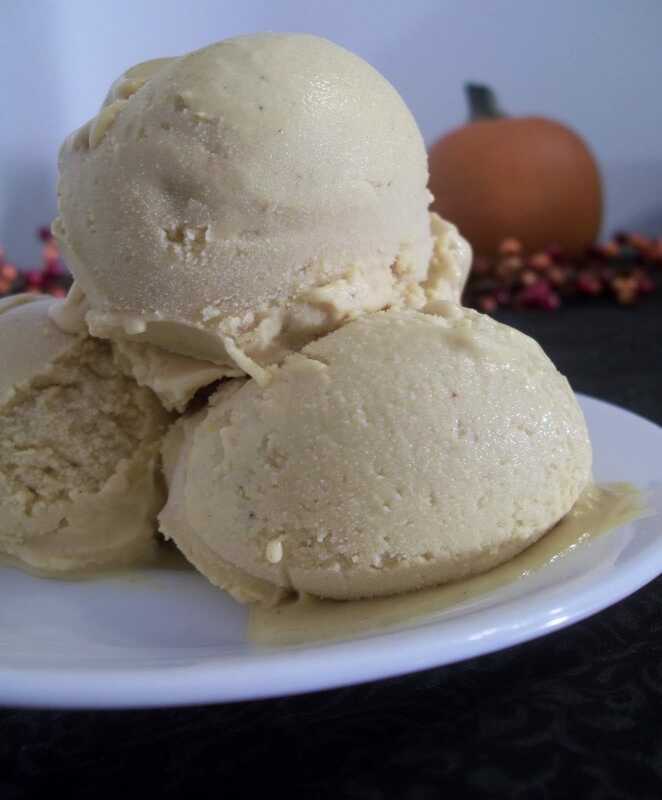 So, pull out your ice cream maker you’ve tucked away for the cold season and enjoy this melt in your mouth, simply delicious pumpkin ice cream. 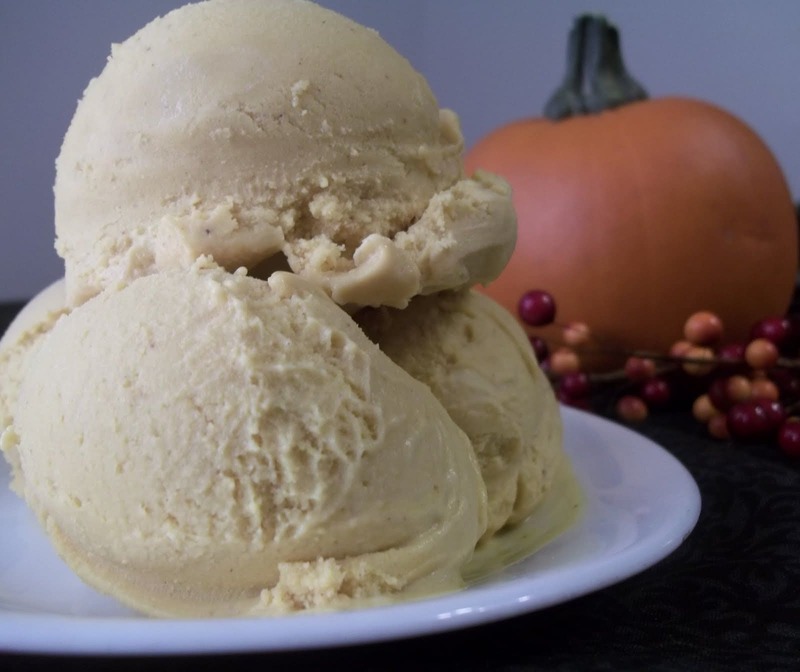 The perfect autumn ice cream! 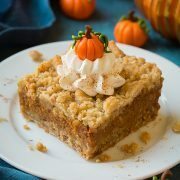 Flavored with pumpkin and sweet spices. In a medium saucepan over medium heat, combine 1/2 cup heavy cream, whole milk and molasses. Cook until mixture almost boils, 5 - 8 minutes. Reduce heat to low. Meanwhile beat yolks, sugar, salt, vanilla and 1/2 cup cream until light yellow and slightly fluffy about 1 minute. Add 1/4 cup hot milk mixture to yolk mixture and stir until combined. Gradually add egg yolk mixture to warm milk mixture in the saucepan, stirring constantly to prevent curdling. Cook over medium-low heat, stirring constantly, until mixture is thick enough to coat the back of a wooden spoon, about 5 - 6 minutes. Do not allow the custard to boil. Pour mixture into a large bowl and cover with wax paper or plastic wrap, pressing it directly on the surface of the custard to prevent a skin from forming. Cool mixture completely, in the refrigerator or chill over an ice bath for 40 minutes. Once cool, stir in pumpkin puree. Force mixture through a fine-mesh sieve into another large bowl. Stir in cinnamon, nutmeg and ginger (I found if you strain the mixture before this step you will strain out some of the spices). Transfer the mixture to an ice cream maker and freeze according to manufacturer's directions. Transfer ice cream to an airtight container and freeze at least 3 hours, until firm.